Dankness falls across the land: For the time of 4:20 is close to hand. 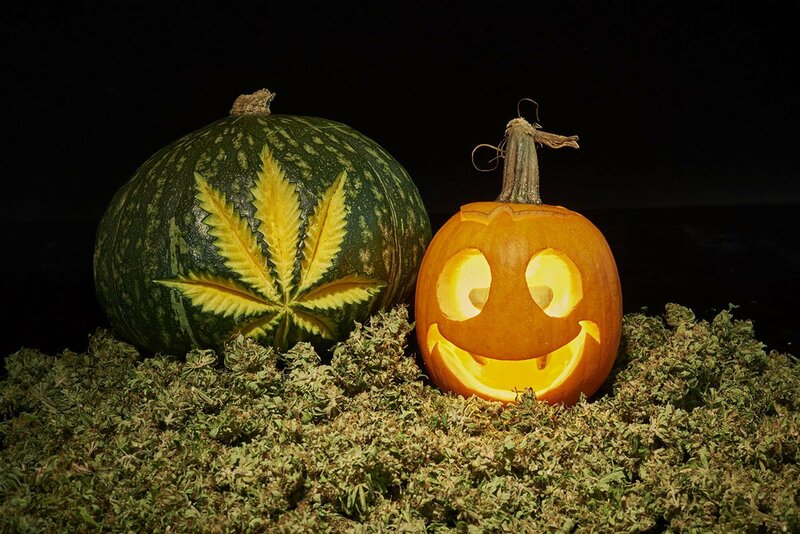 Creatures crawl in search of bud-o-so-green: That’s right buddy, it’s Halloween or Halloweed as we say here in the Vault Towers. 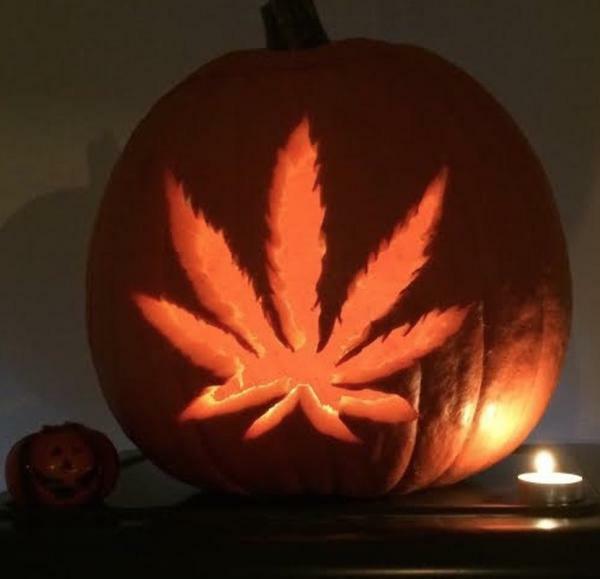 Check out our Spooktacular offer for this years Halloweed! It’s Trick or Treat time here at the Vault, so bag yourself a nice little Halloween Surprise! BOO! It truly is a fangtastic promo. We have 8 Vault Trick or Treat Bundles on offer with a fabulous mix of 4 or 8 seeds per bundle (don’t worry they’re not pumpkin seeds) and a Vault Goodie bag. Drop ‘Trick’ or ‘Treat’ below to enter. There will be 4 winners of 4 seeds and 4 winners of 8 seeds. Selecting Trick or Treat will determine if you win 4 or 8. Good Luck. The Seeds are being provided by: Barney’s Farm, Royal Queen Seeds, Phoenix Seeds, Greenhouse Seed Co, Dutch Passion and Sensi Seeds. Visit the breeders section on The Vault Website to shop now (see the 13% discount below too). But not for you. Use code ‘Vault13′ to get a freaky 13% off any order you make this week. Shop the Vault Website now. *Remember, we accept Credit Card Worldwide now, with the exception of a few countries. This amazing Halloween promo will run from Monday 29th of October, with the winners being announced on Friday 9th of November (closes midnight on the 8th). All winners will be picked at random, but remember: The more methods you use to enter, the greater chance you’ll have of winning one of these frighteningly good treats. Good luck, have fun and remember to spread word of this awesome new promo to all of your buds! Community, Competitions / Giveaways, GrassCity Promotions, New Seeds, Special Offers, The Vault Cannabis Seeds 420, buds, cannabisseeds, kush, Seedbank. permalink. ← International Credit Card Payments accepted again at The Vault! Trick or Treat is fine. I am just happy with whatever. Treat please. Thanks for the opportunity. Well done to you. Please PM us and we will let you know how to go about claiming your prize. BIG thanks to everyone else who took part. The next promo is just around the corner as ever – PLUS we have Green Friday coming up! Awesome man thanks. Just seen in my email no I didn’t get an alert but got your email. Thanks again. Congratulations to the other winners. I replied to your email, thanks again Gary, everyone else at the Vault, Barneys Farm, Royal Queen Seeds, Phoenix Seeds, Greenhouse Seed Co, Dutch Passion and Sensi Seeds, for providing great genetics to everyone. TRICK – because there’s still a bit of the “little boy” in me, lol. Treat thanks and good luck to all.